0.35% is the AVERAGE display ad click-through-rate. In a 2017 Forrester report on display advertising, researches and advertisers have come to the conclusion that consumers are flat out ignoring display ads! In fact, 50% of US online adults actively avoid ads on websites. If you’ve made it this far down in the text, we’re genuinely surprised. When trying to captivate users to engage with your ads, you’re going to have to try a lot harder than a static image or banner. Here at the VR, we have a cure to the ADD of display advertising. We CREATE 360° Immersive Ads. 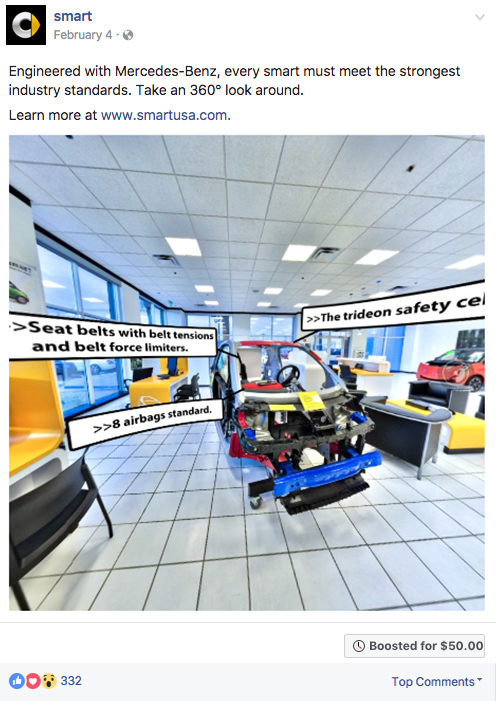 Leverage 360° media in your Facebook display advertising efforts. Utilizing Facebook Boosts for Photos or Video format posts, we create captivating 360° creative display ads that will drive ad engagement and conversion because of it’s immersive and interactive formatting. Go ahead: Tell a story and do something different.